Maksymiuk, Katarzyna. 2018.The two eyes of the earth: The problem of respect in Sasanid-Roman relations. Greek, Roman, and Byzantine Studies 58, 591–606. The diplomatic exchanges of the two powers need not express mutual respect, as the language and the rituals used by one side need not have been interpreted by the other as intended. Nicholson, Oliver (ed.). 2018. The Oxford dictionary of late antiquity. Oxford University Press. The first comprehensive, multi-disciplinary reference work covering every aspect of history, culture, religion, and life in Europe, the Mediterranean, and the Near East (including the Persian Empire and Central Asia) between c. AD 250 to 750, the era now generally known as Late Antiquity. This period saw the re-establishment of the Roman Empire, its conversion to Christianity and its replacement in the West by Germanic kingdoms, the continuing Roman Empire in the Eastern Mediterranean, the Persian Sassanian Empire, and the rise of Islam. Consisting of more than 1.5 million words, drawing on the latest scholarship, and written by more than 400 contributors, it bridges a significant period of history between those covered by the acclaimed Oxford Classical Dictionary and The Oxford Dictionary of the Middle Ages, and aims to establish itself as the essential reference companion to this period. Shavarebi, Ehsan. 2017. The so-called ‘Thronfolgerprägungen’ of Ardashīr I reconsidered. In Maria Caccamo Caltabiano, et al (eds. ), XV International Numismatic Congress Taormina 2015 Proceedings, Vol. 1, 627–630, Roma-Messina: Arbor Sapientiae Editore. Dmitriev, Vladimir. 2017. The Sasanian navy revisited: An unwritten chapter in Iran’s military history. International Journal of Maritime History 29(4), 727-737. 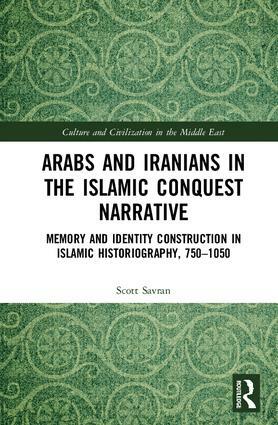 In modern historiography, Sasanian Iran is commonly perceived as a land power. However, various primary sources indicate that the Sasanian navy played an important role in the military efforts of the Persians in late antiquity. The Sasanian navy was established to ensure the external security of the Persian state by exerting control over the sea lanes in the Persian Gulf region, and based on the aspiration of the Sasanid authorities to enhance their military and political, as well as commercial, influence in the northern part of the Indian Ocean. The most dynamic phase of the Persian navy’s activities occurred during the reign of Khosrow Anushirwan (531–579 CE), when fleet operations enabled the Persians to conquer Yemen and there was an attempt to establish the navy in the Black Sea basin. The last phase of Sasanian naval activity took place during the Byzantine–Persian war of 602–628 CE. In this conflict, the Persian fleet initially achieved some success in the Mediterranean Sea, but eventually it was completely defeated by the more skillful Byzantine navy. The main areas of the Persian navy’s activities were the Persian Gulf, the Red Sea and the Arabian Sea. The Sasanids’ attempts to establish fleets in the Black Sea in the 540s and Mediterranean in the 620s were ended by Byzantium. After the fall of the Sasanian Empire, Persian ships became part of the Arabian armed forces and for some time continued to participate in wars on the side of the Arabs, whose victories over the Byzantines were, to some extent, due to the naval experience of the Persians. Sárközy, Miklós. 2017. “Šahrwarāz dinasztiája Szíriában és Egyiptomban a 7. század elején“, Világtörténet, 7. (39.) évfolyam, 2017. 2. 235-248. The present paper discusses the foundation of the Syrian–Egyptian kingdom of Šahrwarāz. A well-known military leader of the Sasanian Empire who played a key-role in the Sasanian–Eastern Roman wars in the early decades of the 7th century AD, Šahrwarāz successfully conquered Syria and Egypt by 619 and became the military governor of these provinces. Being of obscure origin of the Northern Caucasus, Šahrwarāz started as a staunch supporter of Khusraw II but gradually distanced from his patron after some military failures and due to his own policy which soon resulted in a semi-independent Syrian-Egyptian kingdom ruled by Šahrwarāz by 626. His secret dealings with Eastern Roman forces in Syria soon led to his rising popularity in the eyes of emperor Heraclius who promised him the throne of Sasanian Iran. Eventually Šahrwarāz succeeded in usurping the Sasanian realm for a short period, therefore the vast resources at his disposal might have contributed to the spectacular downfall of the Sasanians. Amiri Bavandpour, Sajad. 2017. “A Review of Christian Arab sources for the Sasanian Period“, e-Sasanika 19. This article in Persian reviews all the important Christian Arab sources for the study of Sasanian history. The author studies each of the Syriac and Arabic texts produced by the Christians from the third to the thirteenth century CE which provide important information on the Sasanian Empire. Payne, Richard. 2017. “Territorializing Iran in Late Antiquity“, In Ando, Cifford and Seth Richardson (eds. ), Ancient States and Infrastructural: Europe, Asia, and America, 179-217, Power Philadelphia: University of Pennsylvania Press. In late antiquity,the architects of the Iranian Empire superimposed a mythical gepgraphy on the Near East that gave away, over the four centuries of its existence, to partially terriotorialized, infrastructural powers that far surpassed those of their ancient Near Eastern predecessors. More frequently known as the Sasanian Empire after its ruling dynasty, replacing the adjective “Sasanian” with “Iranian” foregrounds the centrality of a mythical conception of time and space to its organization of the empire, and also gives preference to the self-designation of its elites over scholary convention.